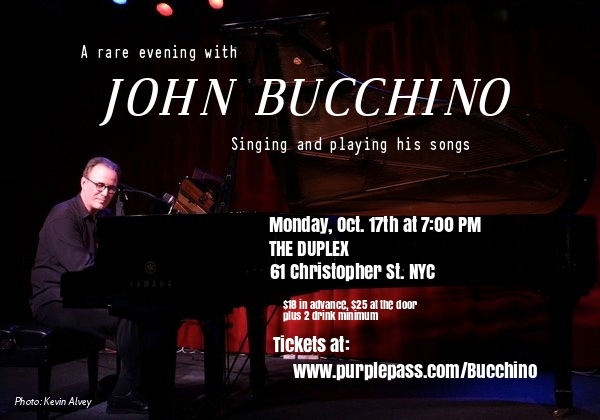 John Bucchino’s songs have been performed by some of the world’s great theatre, cabaret, pop and classical artists in venues that include Carnegie Hall, The Metropolitan Opera, Kennedy Center, The Hollywood Bowl, and the White House. Among his numerous honors are the Fred Ebb, Kleban, Richard Rodgers, Johnny Mercer and Jonathan Larson Awards. Don’t miss this rare opportunity to see John playing and singing his songs, and sharing stories of how they came to be.